Trafficking children for adoption and a better life? Do You Know Where The Food You Eat Comes From? In 1972 Jonas Salk has written these thoughts "The Survival of the Wisest" that I find incredible relevant and revealing for our today's World. Reading Jonas Salk today I was baffled. Baffled by the context that he writes as a person not a democrat nor a republican, nor a lobbyist, but as a scientist. "The fork-in-the-road at which Man now stands offers either a path toward the development of ways and means for maximizing self-expression and self-restraint, by means of external restraints that are not suppressive or oppressive, or an alternative and pathological greed at the expense of constructive and creative individuals. In the latter case, a strong reaction can be expected to develop in response to the sense of order upon which their survival is based. The challenge is to establish an equilibrium between self-expression with self-restraint on the one hand and self-protection with self-restriction on the other." Isn't it remarkable that Jonas mentions self-restraint and self-restriction together with self-expression and self-protection. Sometimes, looking at our western consumerism behavior I am reminded of demanding kids that can't respect limitations. Like on "Fox" TV where the journalist is nearly crying that other countries try to stop the "American way of lifestyle" with which she means wasting without limits and using resources without limits or restrictions and that the UN and the rest of the World tries to find sense in reducing overuse of resources. "Man possesses an additional characteristic, which has to do with the satisfaction and fulfillment of larger desires, which are concerned with the maintenance of the quality of life. This tendency may be subsumed under the term "sense of aesthetics," which, as used here, should be understood in its broad meaning as an "intuition of beauty and order." This aptitude, increased by desire, has the quality of an "addiction." Man is caught in all these processes without as yet realizing that this sense "demands" that he devise and exercise "naturalistic" (by this is meant imitating Nature) forms of "regulation" and "control" to protect himself from madness and from autodestruction. His concerns, thus far, have been more with details than with the overall picture. He has been occupied with disease and death, and with the amenities of life appropriate to each age and epoch. He has not yet seen the importance of understanding life's "purpose," and therefore, his purpose individually and collectively, and of understanding where he fits into the evolutionary scheme of things. When he does, he will then better comprehend his own nature and develop ways and means of dealing with the problems of life as part of the process of life itself, not as questions to be avoided or obliterated. "Viewed in this way we realize how much blindness to Man's true nature actually exists. This may be understandable in the young, who have not lived very long, but it is equally true of those who have lived longer. How we grapple with our blindness is of the greatest importance for the present and the future; it is the central problem of our time. "If human life is to express as much harmony, constructiveness, and creativity as are possible for fulfilling the purpose of life, as "required" by Nature, and the purpose in life, as "chosen" by Man, an attitude will be needed, not of Man "against" Nature, but of Man "inclusive with" Nature. A more reasonable attitude would be for Man to "serve Nature" in order to serve himself, rather than to "serve himself" without regard for, or at the expense of, Nature and others. By recognizing and respecting the natural "hierarchies of purpose" Man would be better abler to gauge his latitude to select and pursue his own "chosen purposes" without coming into conflict with the "purpose of Nature," which appears to be the continuation of life as long as conditions on the planet permit. "As a process, evolution seems to be Nature's way of finding means for extending the persistence of life on earth. This involves the elaboration of increasingly complex mechanisms for problem-solving and adaptation. The ability of the human mind to solve the problem of survival is part of this process. In this respect Man has evolved so successfully that he is now to be tested for his capacity to "invent" appropriate means to limit the harmful or lethal excess of which he is capable. The conflict in the human realm is now between "self-expression" and "self-restraint" within the individual, as the effect of cultural evolutionary process has reduced external restraint upon individual expression and increased opportunities for choice." Jonas talks already in 1972, during the big-fast-expansion of industrialization and the shaping of our current system, about "self-expression" and "self-restraint" within the individual as the conflict, and looking at where we, as a social system currently are, just gone through another economic bubble caused by greed, the Madoff scam, and the implosion of the financial sector in the fall of 2008. This provoked by "not-acting-responsible", as I would put Wall Street mentality. It makes me think that for a scientist of the caliber of Jonas Salk this all was already an issue of study in 1972. And that maybe, if we had a better educational system, we could have understood more and prevented more of the destruction that we cause today as a human society? And it strikes me that older people who have seen quite a little bit more of history and our evolution are not necessarily wiser, that they did not grow up but only grew old, having not developed a sense of responsibility or "self-restraint" as Jonas puts it. It makes me think of dinosaurs who get a lot of airtime "today" on channels like "Fox" entertainment: like Coleman, Fred Singer, Richard Lindzen... and on the other hand, Margaret Thatcher, who stated in the 70's, "The danger of global warming is as yet unseen, but real enough for us to make changes and sacrifices so that we do not live at the expense of future generations." "At a time when so much has been learned about Nature, when condition of Man is so full of seeming paradoxes, it is not surprising to find that many whose profession has been in the natural sciences are now addressing themselves to questions about Man. Nor is it surprising that they do so in a way that reflects their background as well as their method of thought." "An unprecedented explosion of interest and movements concerned with the survival of the species is now taking place. The idea of the extermination, by Man, of various forms of life on the planet, and the danger to human life, induces a fear that preoccupies increasing numbers of individuals, especially of the generations now maturing. Those who are ecologically oriented and those who are profoundly concerned about the quality of life for the species as well as for the individual appear to stand in opposition to other less aware of such problems, who are more concerned with themselves in their own life spans. The fundamental difference between those two attitudes is that the first expresses concern for the individual and the species; the second reveals principally, and perhaps exclusively, an interest in the individual and the particular group of which he is part." 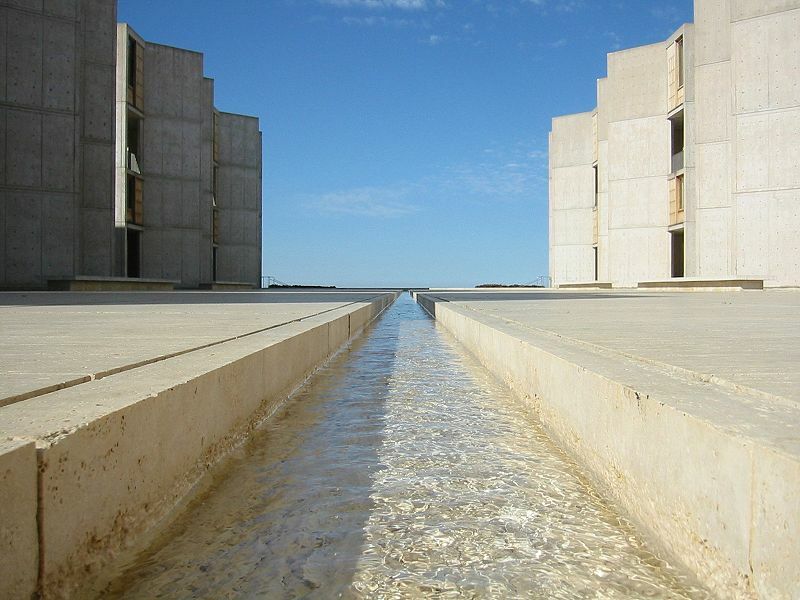 In 1960, Jonas founded the Salk Institute for Biological Studies in La Jolla, which is today a center for medical and scientific research. He continued to conduct research and publish books, including Man Unfolding (1972), The Survival of the Wisest (1973), World Population and Human Values: A New Reality (1981), and Anatomy of Reality: Merging of Intuition and Reason (1983). "Our greatest responsibility is to be good ancestors." "What is … important is that we — number one: Learn to live with each other. Number two: try to bring out the best in each other. The best from the best, and the best from those who, perhaps, might not have the same endowment. And so this bespeaks an entirely different philosophy — a different way of life — a different kind of relationship — where the object is not to put down the other, but to raise up the other." "He was such an amazing and brilliant man. There have been few truly outstanding minds on this Earth, he definitely was one of them. He turned science into poetry." John Reisman, who worked with Jonas Salk for many years, Jonas Salk was his mentor. Article written by Harito M. Reisman.